People make purchasing decisions with their eyes first. For realtors, that means making every effort to impress long before an open house. Your online presence needs to shine to pull in serious prospective buyers and sell your brand to interested sellers. Certain design elements can give your site the extra oomph needed to begin valuable real estate relationships online. Incorporate these design elements to set your website apart from the competition. You know from experience that each buyer or seller is unique. People have a wide range of desires and preferences. Often, they aren’t sure exactly what they want, but they’re relying on you to help them find it and secure it at a price they can afford. Your website is an extension of the services you provide in person. It should help them sort through their options to quickly narrow relevant choices and find what they want. In 1981, home buyers used newspaper ads and friends to locate a home. Few worked with realtors, and no one even thought of searching online. 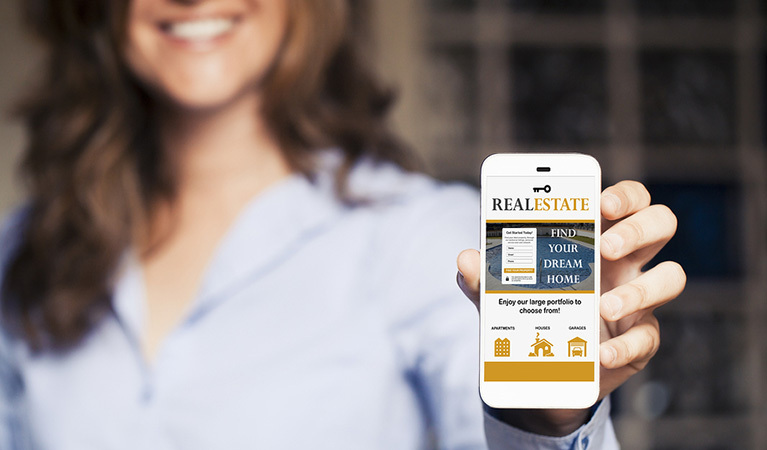 Last year, 90 percent of real estate firms had websites and 44 percent of buyers started their searches online. Millennials make up an increasing percentage of homebuyers, and 99 percent of the millennials who bought a home last year said they started their search online. Here’s what they’re looking for. 89 percent found photos useful. 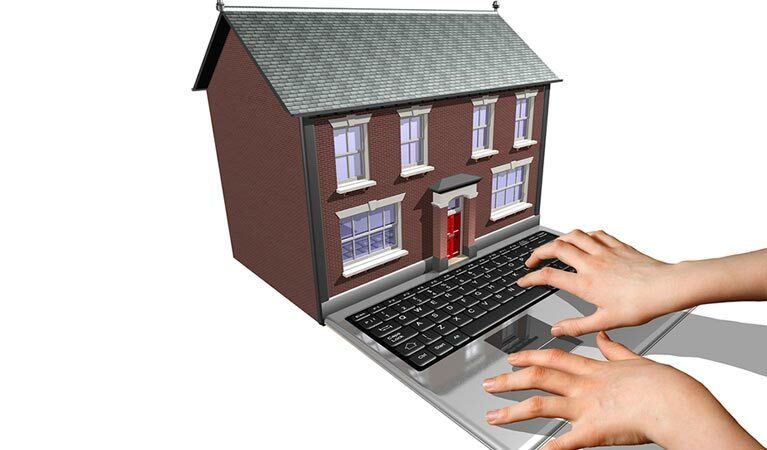 85 percent accessed detailed property information. 50 percent said virtual tours helped them decide if they were interested in a property. 44 percent used neighborhood information as part of their evaluation. 41 percent used interactive maps. Showcase your listing’s most desirable features with high-quality photographs. Instead of requiring buyers to click on each image, offer a slideshow that invites them to flip through and see multiple views of all the property’s selling points. Video provides a high return on investment (ROI), with listings receiving 403 percent more queries than ones without. Use video to provide a property walk-through or use a drone to give an overview of acreage. Buyers want photos, video, and other information, but they don’t want to have to scroll through thousands of properties to find the ones that meet their needs. 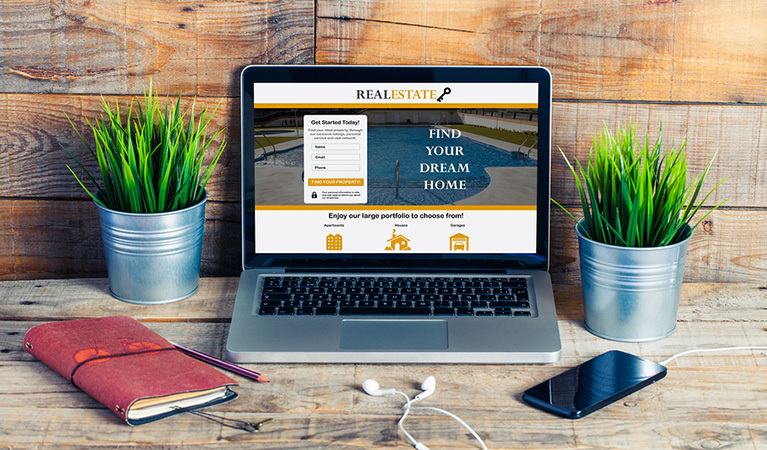 Your website should have a search function so users can search by price range, location, number of bedrooms, and amenities such as a swimming pool or media room. Reduce image size to improve loading time. Switch to a web hosting provider with higher speed. Work with a web designer to reduce page load time. You know all the information your user needs and how many properties in your area provide an excellent value, but if you try to put too much information on your homepage, it will overwhelm users. Find the balance between providing enough content to intrigue and overloading users with too much information. Make it feel simple by designing for the user’s needs. Provide brief sections of readable content. Avoid long paragraphs or wordy descriptions. Use headings and bullet lists to make it easy to skim. Don’t pack every portion of the screen. Leave open space for a relaxed feel. Emphasize priority tasks like entering search criteria or visiting a blog. Use meaningful graphics. Avoid any visual elements not directly connected to your goal. When buyers and sellers look for your firm online, they start with a search engine like Google or Bing. They might look for information on buying a home, selling a home, or finding a local realtor. Search engines pull up results based on a variety of factors, many of which come from your website. Most people only look at the top two or three results before making a decision. Local leads drive your business. The realtors who attract the most traffic sell the most homes. Gain more real estate traffic by optimizing your website for search engines. When you optimize your website for search engines, you offer your clients value. They can’t utilize your expertise if they can’t find you online. Search engine optimization is part of good web design. Optimized content includes a blog that you update regularly, offers unique material, and is part of your site. Post frequently to give useful information, such as how to obtain financing, local real estate trends, and how sellers can negotiate the best deals on their properties. People conduct almost 60 percent of their searches on mobile devices. When users are browsing available properties, they’re often more likely to be sitting in their cars or at their offices than on their home desktops. If you design your website for mobile, they will be able to use its features. If not, users will find another real estate website, and Google will reduce your search engine rankings. Responsive design makes your site look consistent on every type of device. It keeps you from having to design one website for desktop and another for mobile, which saves you money. Multiple sites cost more both to design and to maintain. Responsive web design also makes content shareable, so users can repost your blog or listing to their own social media feeds. Turn site visitors into leads by capturing their information. They might browse your listings and content for an extensive amount of time, but if you can’t contact them, they might go away and never come back. Use your website to offer valuable content in exchange for their information. Ask for email addresses to send these types of content. Require users to input their name and email address only and design follow-up contact that is helpful and unobtrusive. Some users are actively searching for a home and looked you up because they want you to contact them. Provide a clear call to action that makes it easy to email you directly. Include a click to call button on mobile so they phone directly to your cell without having to input numbers. Use engaging images, customizable searches, responsive web design, and unique content to draw in clients and provide the services they need. Build awareness of your brand so local buyers can find you and can tell at a glance what makes you the most capable and resourceful real estate professional in your area.